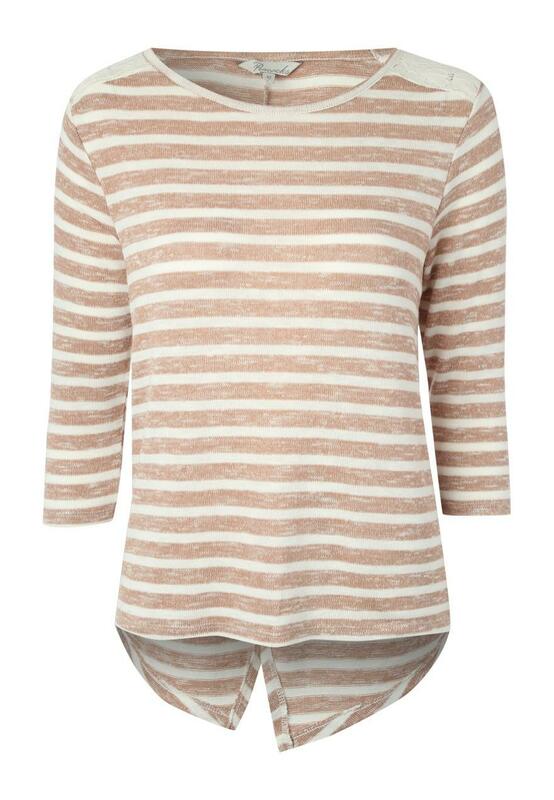 Rock the casual look in this striped 3/4 sleeve top. 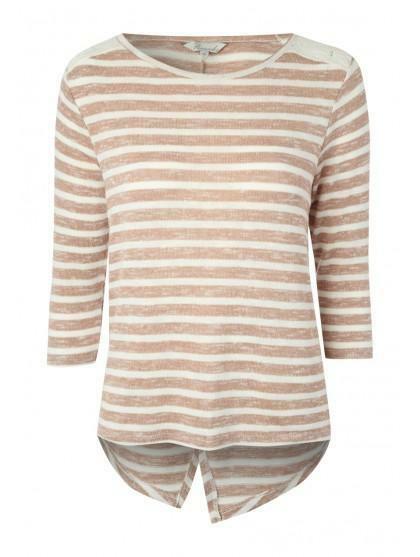 Featuring striped design, split back detail, 3/4 length sleeves and lace tab shoulders. Wear with skinny jeans, a super fluffy snood and ankle boots for perfect weekend style!